Construction work on our new Booking Office at Caernarfon Station is nearing completion. However, between Wednesday 29th August and Tuesday 4th September, due to essential civil engineering works, reduced access will be in operation at Caernarfon Station. 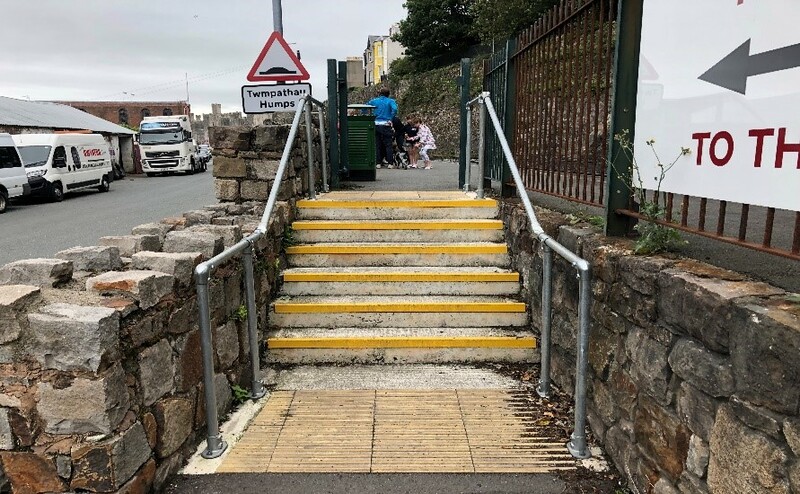 Passengers with reduced mobility wishing to travel from Caernarfon are strongly recommended to start their journey from the nearby station at Dinas (LL54 5UP) - where fully accessible facilities, including a waiting room and free parking, are available. For the duration of these works, we recommend that passengers with reduced mobility should consider travelling on the Ffestiniog Railway, which is unaffected by the work in Caernarfon - or travel to and from our station at Dinas, near Caernarfon. • Caernarfon Booking Office will be open as usual during this disruption.There will be no changes to the scheduled Welsh Highland Railway train services. • The Ffestiniog & Welsh Highland Railways apologises for any inconvenience caused by this disruption.